Nanophotonics merges nanotechnology methods with photonics and thus enables light transmission, manipulation and detection on a nanometer scale. For over one decade AMO GmbH is active in the field of silicon photonics by employing state-of-the-art clean room technologies to develop active and passive integrated nanophotonics structures and devices. Moreover, high-speed integrated modulators for modern optical communication technologies were designed and fabricated and efficient fiber-chip coupling methods were established. Silicon photonics is supposed to be a suitable technology platform overcoming the current limits of optical interconnects in terms of size, power efficiency and speed. A second nanophotonic platform using silicon nitride as waveguide material has been recently developed opening the route to enter the visible wavelength range. Main fields of applications of AMO’s nanophotonics besides information technologies are bio photonics, life sciences, sensing, photonics for antenna technologies and integrated silicon based components for terahertz generation. AMO has already launched a nanophotonic prototyping foundry service based on various lithography techniques on 6’’ wafers including i-line projection lithography, electron beam lithography and advanced nanoimprint lithography. Currently active and passive integrated silicon nanophotonic devices like grating couplers, SOI electro-optical modulators, photonic crystals and microring resonators, etc. are commercially available. Below you find our running projects within Nanophotonics. 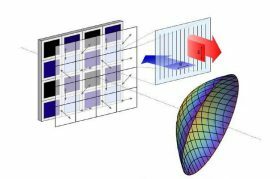 The aim of NANOPOL, a collaborative project funded by the BMBF, is to develop a polarization sensitive wavefront curvature sensor based on innovative subwavelength structures. This will enable high-resolution laser beam analysis and thus the determination and monitoring of all process relevant beam parameters in real time. 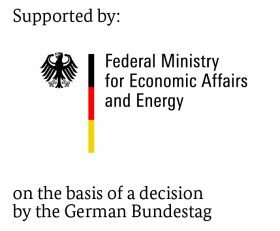 The project aims also to drive a significant reduction of productions costs in laser-based production processes through the precise employment of laser resources. This will lead to an increase in productivity and the availability of production tools. Project partners are AMO GmbH, PRIMES GmbH, SillOptics GmbH & Co. KG and Laser-Laboratorium Göttingen e.V. 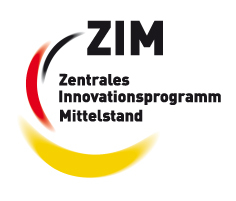 Within this BMWi funded ZIM project AMO is exploring a possible solution for a major problem of silicon photonics, the coupling of chips to single-mode fibers. Project partners are LightFab GmbH and Aifotec AG. The core idea is a mounting aid consisting of a monolithic glass block with passive optics manufactured with high precision. This approach shall allow temperature stable coupling of the fiber in the plane of the chip to create – for the first time – a durable and efficient coupling between the building blocks. The solution is flexibly adjustable to existing chip designs and shall yield significant cost savings over existing solutions. MIRAGE aims to raise the bar of optical-interconnect technology currently used in data centers and bring it to the terabit scale by developing prototypes for active optical cables (AOCs). To achieve its challenging mission, the project tackles objectives that span from material research to cutting edge integration techniques and circuit design, streamlined towards suitability for commercial uptake. AMO’s role within this project is the fabrication of photonic circuit boards as backbones of the envisioned AOC’s, providing both large parts of the optical functionality of the devices and allowing the integration of other components such as driver electronics. This project clears the potentials of photonics front end for the next generation SAR applications focused on the development of photonic technologies. New concepts and technologies are developed in order to provide a complete modular antenna system with a net gain in bandwidth/resolution, size, mass, complexity and cost when compared with traditional implementations. Inside the GAIA project AMO develops a fabrication technology for thermally tunable photonic integrated circuits for delay control based on ultra-low loss Si3N4 waveguides. PhoxTroT is a large-scale research effort focusing on high-performance, low-energy and cost and small-size optical interconnects across the different hierarchy levels in data center and high-performance computing systems: on-board, board-to-board and rack-to-rack. AMO is responsible for the fabrication of Silicon Organic Hybrid (SOH) electro optic modulators for 16QAM active optical cable. SOH integration combines highly efficient electro-optic organic materials with conventional silicon-on-insulator waveguides, and allows to overcome the intrinsic limitations of silicon as an optical integration platform. SASER-SaveNet is an industry driven European research initiative within the Celtic-Plus program. One goal is the realization of save, reliable and energy efficient networks based on advanced photonic concepts. AMO is mainly involved in the workpackage for the realization of silicon-photonic components, particularly for the development and fabrication of highly integrated advanced electro-optic modulators based on plasma dispersion effects in interleaved Mach-Zehnder interferometers. The main trust of these research efforts is the realization of silicon based photonic modulators, that can be driven by Silicon-CMOS-elements. The goal of the EU-project SPIRIT is to develop a fully programmable photonic transceiver for ultra-high data rates and variable modulation formats. Key features are low power consumption, cost-efficiency and high resolution. SPIRIT combines state-of-the-art silicon photonics with InP-based electro-optical modulators and CMOS driver technology. AMO is developing and fabricating the SOI-based photonic platform which includes a novel, flexible 16×1 MUX/DEMUX device. This device will combine several highly complex sub-components such as on-chip polarization splitters and widely tunable mirco-ring-resonator filter arrays, thereby demonstrating the high level of maturity and flexibility of AMO’s fabrication technology in the area of silicon photonics. Together with the other project partners, AMO will make sure that the SOI platform is efficiently integrated with the InP electro-optical modulator. The European Marie Curie project Synchronics is a multisite initial training action dealing with Supramolecularly engineered architectures for optoelectronics and photonics. AMO is involved in design and fabrication of nanoresonators and distributed feedback structures in order to exploit supramolecular materials for lasing operation. This project targets the development of sustainable systems for active optical cable combining the advantages of optical wavelength division multiplexing transmission technology with the cost effective and compact silicon photonics technology scalable for future data rates higher than 200 Gbps. The combination of innovative concepts such as comb laser, silicon nanophotonics, WDM and alignment tolerant fiber-to-chip coupling allow the superiority over existing active optical cables. AMO is providing the silicon photonic platform and the development of electro optical modulators. The main research aspects are stability control of microring resonators and the investigation of efficient modulator technologies. PLASMOFAB is a generic CMOS-compatible platform for co-integrated plasmonics/ photonics/ electronics PICs towards volume manufacturing of low energy, small size and high performance photonic devices. The project focuses on CMOS compatible metals and photonic structures that will be harmonically co-integrated with electronics via standardized CMOS processes. As a validation stage, the proposed PIC platform is used along with advanced peripherals to develop predominant functional modules of unprecedented performances in the areas of optical data communications (low power, low footprint 100 Gb/s serial NRZ transmitter) and bio-sensing (ultra-sensitive, multi-channel inflammation marker sensor). AMO is developing the silicon nitride CMOS compatible plasmonic/photonic platform.